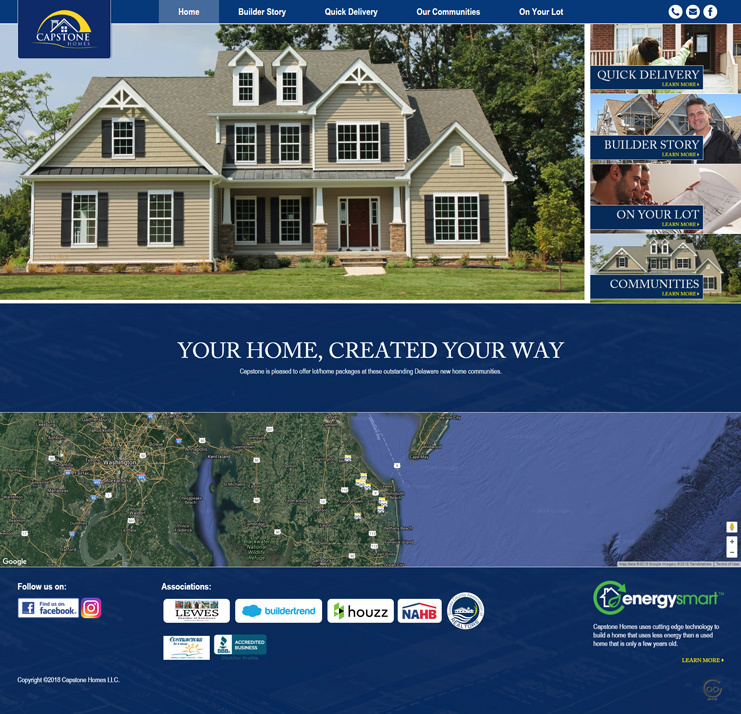 A professional new site for a local homebuilder. Create a custom website to display this builder's various floorplans, custom photography, and much more. The client requested the ability to display the various communities they build their homes in. Techno Goober got right to work on this project. Displaying the various requests from the client took some work, but we were able to deliver. Take a look at the logo in the upper corner of the site. Creating a custom feature like that took time.